I remember travelling to Italy about 4 years ago…we were struck by a very new trend: wearing scarves….in the heat of summer! Scott thought i was crazy, but i brought scarves home for my friends and families and told them this was the “European” thing. I fell in love with the trend…though i doubt it’s longevitiy in the fashion scene allows it to be called a trend any longer. 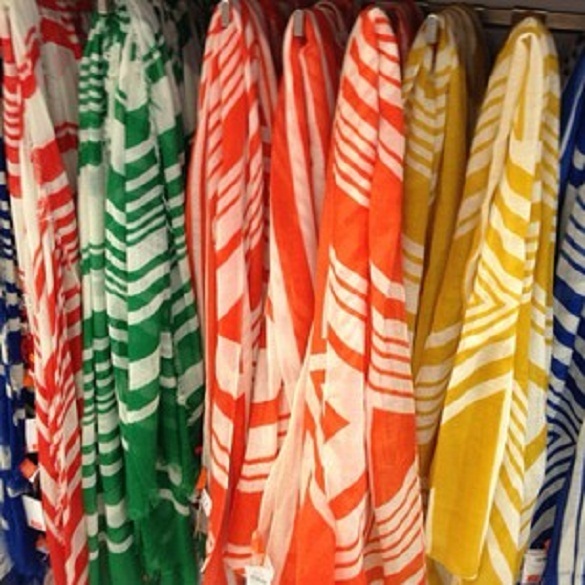 It’s a mainstay…scarves year round. 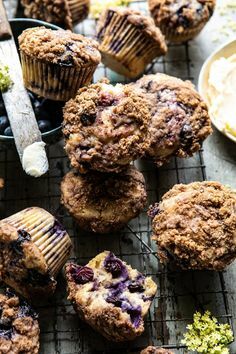 And though i love the warm, chunky varieties that we’ve been wearing these winter months, i always pause and let a contented sigh escape when i see the brightly colored, lighter versions arriving for spring. 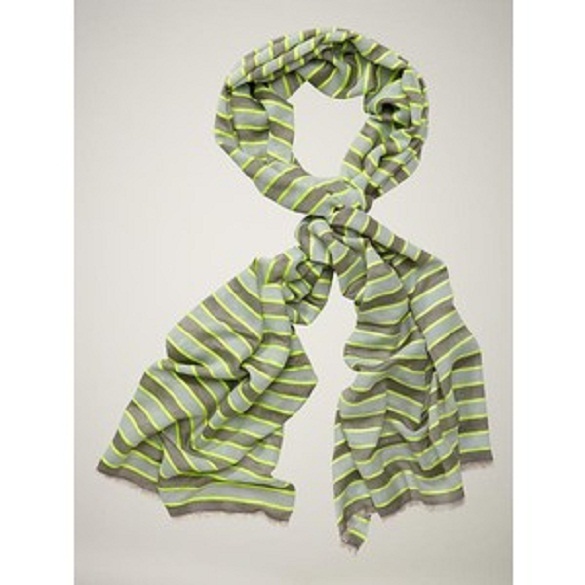 Neon Stripe Scarf~~the Gap $29.95 The Green stripe is truly neon and looks fabulous over a crisp white tee! 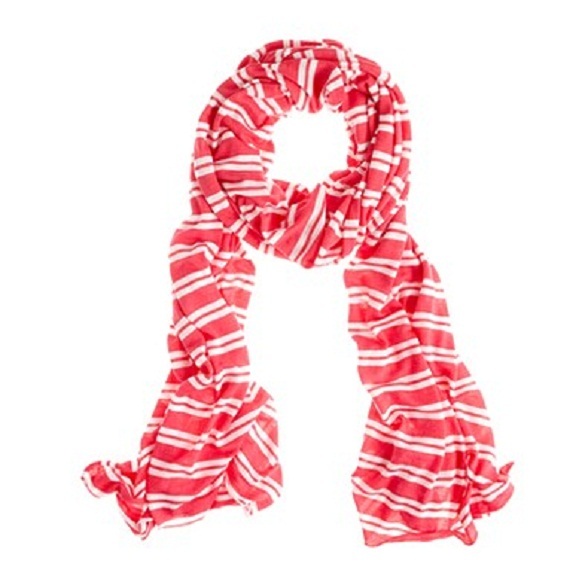 Microspun stripe scarf~~ J Crew $33.50 I LOVE this scarf..made from jersey cotton, it acts as wrap as well! Perfect for travelling...keep it in your carry-on for use on a flight or a cool evening! Comes in a variety of colors.. 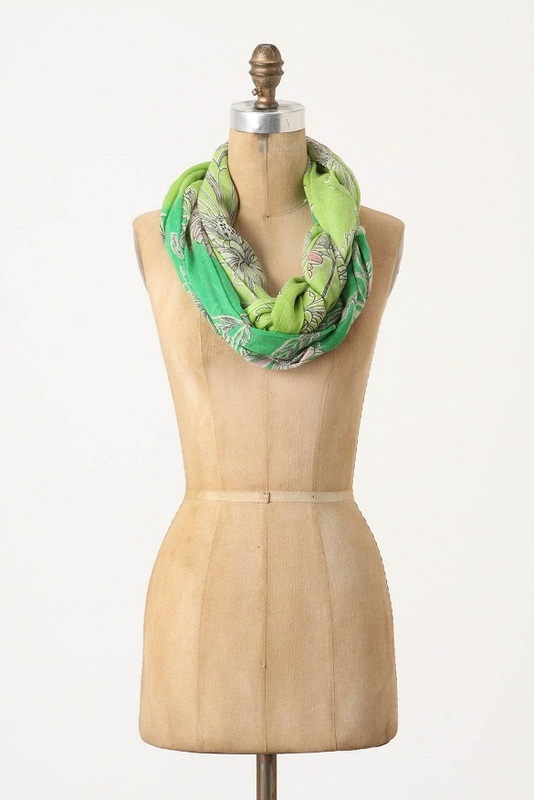 This last scarf is a splurge but serves double duty…wear it as is, or as a sleeveless wrap! Diane von Furstenberg "Hanover" Pink Landscape Scarf ~~ Nordstrom $204.38 CDN ...Love the brilliant hues in a colorblocked pattern! Shown in the Linescape Green...belted and worn as a wrap..love it!! Pair these scarves with some of your wardrobe basics: a neutral sweater, a crisp white tshirt, a pair of skinny jeans, your favorite ballet flats and you’re ready for Spring to blossom!